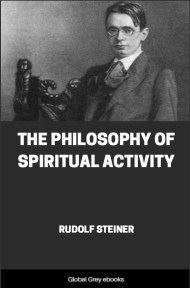 Occult Science is Rudolf Steiner's term for the ancient Way of Initiation, and in this book he shows that an objective description of the spiritual experience, (one quite as balanced as the findings of external science), is both possible and attainable. Material scientists pour scorn on the idea of other spiritual worlds, but it is unreasonable to expect that instruments of gross matter will ever detect the highly attenuated spiritual dimensions. Occult scientists consider the human body is the best, perhaps the only, instrument capable to reaching these dimensions. 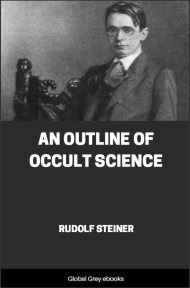 At the present time the words “occult science” are apt to arouse the most varied feelings. Upon some people they work like a magic charm, like the announcement of something to which they feel attracted by the innermost powers of their soul; to others there is in the words something repellent, calling forth contempt, derision, or a compassionate smile. By many, occult science is looked upon as a lofty goal of human effort, the crown of all other knowledge and cognition; others, who are devoting themselves with the greatest earnestness and noble love of truth to that which appears to them true science, deem occult science mere idle dreaming and fantasy, in the same category with what is called superstition. 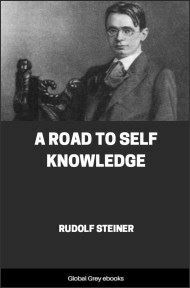 To some, occult science is like a light without which life would be valueless; to others, it represents a spiritual danger, calculated to lead astray immature minds and weak souls, while between these two extremes is to be found every possible intermediate shade of opinion. Strange feelings are awakened in one who has attained a certain impartiality of judgment in regard to occult science, its adherents and its opponents, when one sees how people, undoubtedly possessed of a genuine feeling for freedom in many matters, become intolerant when they meet with this particular line of thought. And an unprejudiced observer will scarcely fail in this case to admit that what attracts many adherents of occult science—or occultism—is nothing but the fatal craving for what is unknown and mysterious, or even vague. And he will also be ready to own that there is much cogency in the reasons put forward against what is fantastic and visionary by serious opponents of the cause in question. In fact, one who studies occult science will do well not to lose sight of the fact that the impulse toward the mysterious leads many people on a vain chase after worthless and dangerous will-o'-the-wisps. 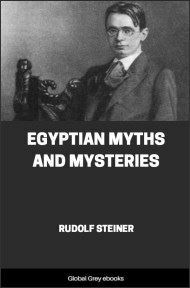 Even though the occult scientist keeps a watchful eye on all errors and vagaries on the part of adherents of his views, and on all justifiable antagonism, yet there are reasons which hold him back from the immediate defence of his own efforts and aspirations. These reasons will become apparent to any one entering more deeply into occult science. It would therefore be superfluous to discuss them here. If they were cited before the threshold of this science had been crossed, they would not suffice to convince one who, held back by irresistible repugnance, refuses to cross that threshold. But to one who effects an entry, the reasons will soon manifest themselves, with unmistakable clearness from within. This much, however, implies that the reasons in question point to a certain attitude as the only right one for an occult scientist. He avoids, as much as he possibly can, any kind of outer defence or conflict, and lets the cause speak for itself. 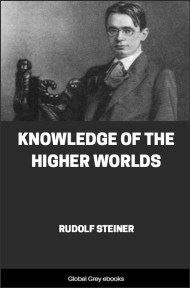 He simply puts forward occult science; and in what it has to say about various matters, he shows how his knowledge is related to other departments of life and science, what antagonism it may encounter, and in what way reality stands witness to the truth of his cognitions. 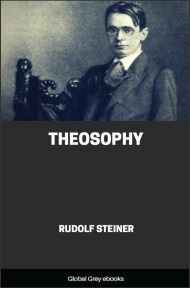 He knows that an attempted vindication would,—not merely on account of current defective thinking but by virtue of a certain inner necessity,—lead into the domain of artful persuasion; and he desires nothing else than to let occult science work its own way quite independently. The first point in occult science is by no means the advancing of assertions or opinions which are to be proven, but the communication, in a purely narrative form, of experiences which are to be met with in a world other than the one that is to be seen with physical eyes and touched with physical hands. And further, it is an important point that through this science the methods are described by which man may verify for himself the truth of such communications. For one who makes a serious study of genuine occult science will soon find that thereby much becomes changed in the conceptions and ideas which are formed—and rightly formed—in other spheres of life. A wholly new conception necessarily arises also about what has hitherto been called a “proof.”We come to see that in certain domains such a word loses its usual meaning, and that there are other grounds for insight and understanding than “proofs” of this kind. All occult science is born from two thoughts, which may take root in any human being. To the occult scientist these thoughts express facts which may be experienced if the right methods for the purpose are used. But to many people these same thoughts represent highly disputable assertions, which may arouse fierce contention, even if they are not regarded as something which may be “proven” impossible. These two thoughts are, first, that behind the visible world there is another, the world invisible, which is hidden from the senses and also from thought that is fettered by these senses; and secondly, that it is possible for man to penetrate into that unseen world by developing certain faculties dormant within him. Some will say that there is no such hidden world. The world perceived by man through his senses is the only one. Its enigmas can be solved out of itself. Even if man is still very far from being able to answer all the questions of existence, the time will certainly come when sense-experience and the science based upon it will be able to give the answers to all such questions.